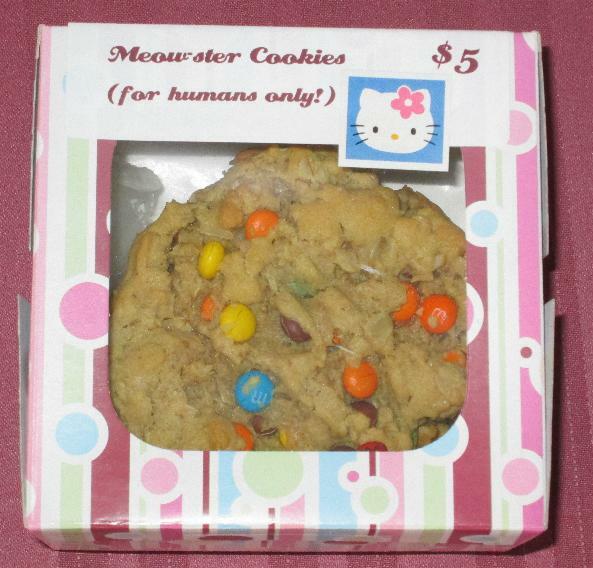 Well…you might not want to actually feed these to your feline friends, but…. One of the local no-kill shelters had an open house and bake sale last weekend to raise some much-needed funds. (They do this twice a year – last year, I baked Tiger Blondies for them.) I knew I wanted to make something to help out again this year, and even booked a day off work to do so, but it took me a while to decide on a recipe. As luck would have it, my mom had made these wicked monster cookies a couple of weeks before that yielded the perfect oversized-but-chewy snack, and she was willing to contribute to the cause the half-bags of mini M&Ms and mini Reese’s Pieces she had left over. Sold! I packaged them in some cupcake boxes I had had laying around for ages, and did up snappy labels in Word. 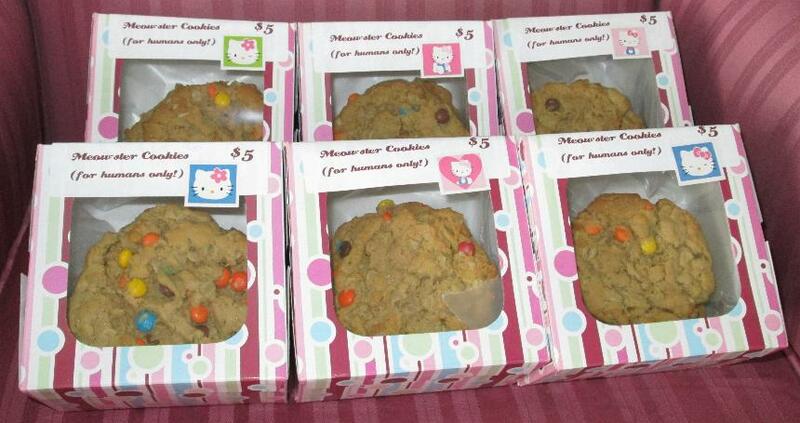 Some co-ordinating Hello Kitty stickers sealed the deal (so to speak), and voila: a sextet of fund-raising yumminess.